The snow and Ross’s goose spring hunt begins March 15. Make sure you have the proper permit. 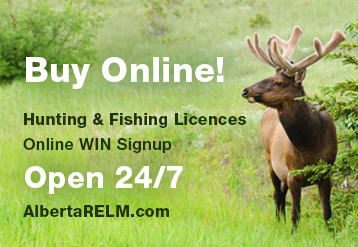 AlbertaRELM is the place where you may purchase your hunting or fishing licence, or apply for your WIN number 24 hours a day, 7 days a week. This program offers compensation for trapping business losses due to industrial activity on Crown Land.